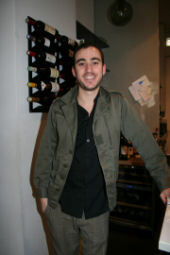 Entrée to Black Paris - Newsletter Archives - April 2008 - Will Success Spoil Daniel Rose? Chicagoan Daniel Rose moved to Paris about ten years ago with the intention of completing his undergraduate studies at the American University of Paris. Today, one finds him being hailed by the international press as the creative mastermind behind the restaurant Spring. What brought him to this point in such a short period of time? And where will this wave of enthusiasm for his cooking skills take him? Read about this American success story in this month's feature article of Paris Insights.